Diverticular disease is a chronic gastrointestinal disorder with two distinct phases. Diverticulosis, the chronic phase of the disorder, causes small pouches to bulge outward at weak points along the inner lining of your large intestine, or colon. Diverticulitis, the acute phase of the disease, occurs when these pouches become inflamed or infected. Quinoa and other whole-grains are prohibited during an acute attack of diverticulitis. 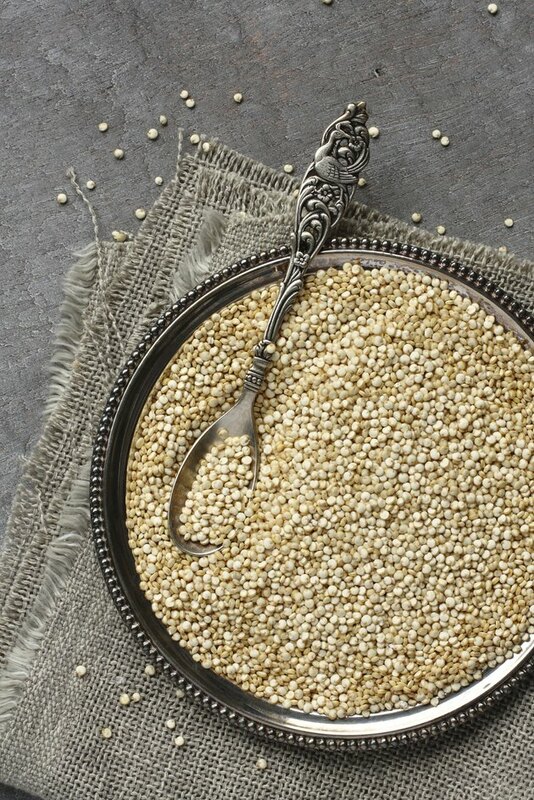 Quinoa has been cultivated and eaten by people in Peru, Chile, Ecuador and Brazil for over 5,000 years. Available as red quinoa or regular quinoa, this whole-grain product is rich in dietary fiber and heart-healthy protein. A 1-cup serving delivers 5.2 g of fiber along with 8 g of protein in only 222 calories. The balanced variety of essential amino acids within the quinoa protein makes it a desirable protein source with a nutritional quality similar to that of dried milk powder, says Purdue University. Like other plant foods, quinoa is cholesterol-free. According to the National Institute of Diabetes and Digestive and Kidney Disorders, most medical experts believe a fiber-deficient diet causes diverticulosis and advise their patients with diverticular disease to eat a high-fiber diet during the chronic phase of their disorder. When you develop abdominal pain, fever, nausea, chills and vomiting from an acute diverticulitis attack, however, switch to a clear liquid diet. After two to three days on clear liquids, you can gradually begin adding low-fiber foods into your diet and then increase your fiber intake as your symptoms resolve. With 5.2 g of fiber in 1-cup portion, quinoa is a great choice for your diverticulosis diet. However, you should stay away from quinoa and other solid foods when your doctor recommends a clear liquid diet. As you add low-fiber foods back into your meals and snacks, you can eat small portions of low-fiber grains like rice. Avoid quinoa and other high-fiber grains until your diverticulitis has gone away completely, advises MayoClinic.com. For many years, physicians believed nuts, seeds and small kernels of grains could cause diverticulosis or make it worse, so they advised patients to avoid these foods. However, the National Institute of Diabetes and Digestive and Kidney Disorders now says you don't need to eliminate any specific foods during the chronic phase of your disease. If you think quinoa makes your diverticulosis symptoms worse, consult your doctor. Boil quinoa just like you would prepare rice, or combine it with other grains and spices to make pilaf. Toss it into soup in place of noodles or barley, or sprinkle cooked quinoa onto a heart-healthy salad. Buy quinoa cereals or breads that contain quinoa flour at health food stores or in the natural foods section of your grocery store.